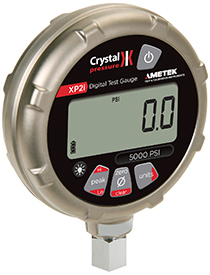 DataLoggerXP is an optional data logging mode for the XP2i gauge. With the XP2i's long battery life, and Ultra Low Power mode, you can log data over an entire year, without the need for external power supplies or battery replacements. Turn your XP2i with 0.1% of reading accuracy into an intrinsically safe data recorder.